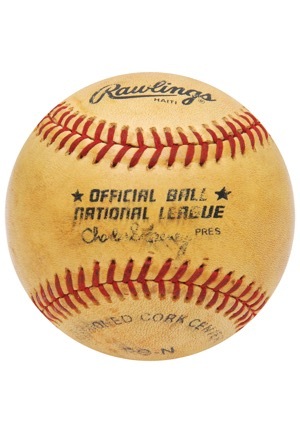 “Rawlings” manufactured ONL Feeney game-used baseball from 6/29/1984. 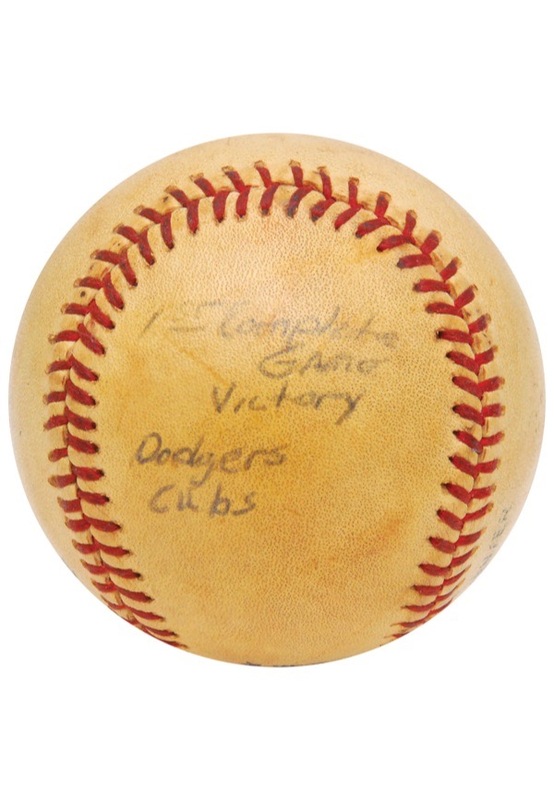 Written on the ball in black ink is “1ST Complete Game Victory - Dodgers - Cubs”. Hershiser pitched 9 innings allowing 9 hits, 1 walk and 1 run while striking out 8 in a 7-1 victory over the Chicago Cubs. The ball shows signs of game-use. 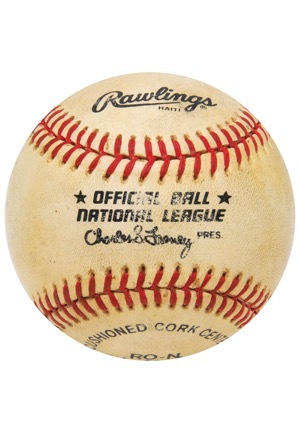 “Rawlings” manufactured ONL Feeney game-used baseball from 9/17/1985. 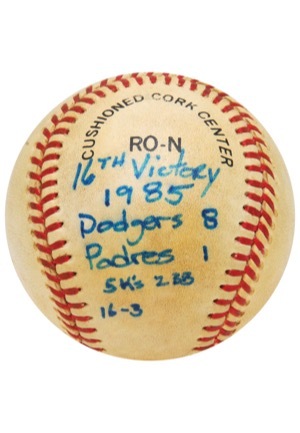 Written on the ball in blue marker is “16TH Victory - 1985 - Dodgers 8 - Padres 1 - 5 K’s - 2 BB - 16-3”. The ball shows signs of game-use. 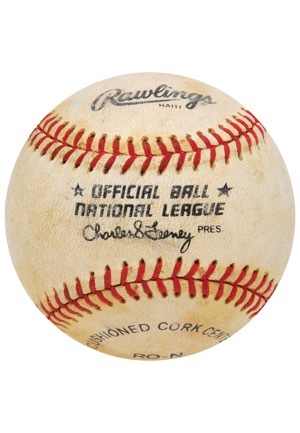 “Rawlings” manufactured ONL Feeney game-used baseball from 9/27/1985. On this date, Hershiser earned his 18th win defeating the San Francisco Giants by a score of 6-2. 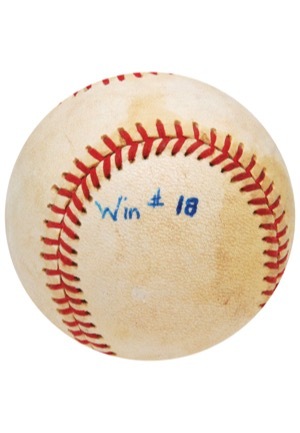 The ball shows signs of game-use. Accompanied by a LOA from Orel Hershiser.